In the last post, we talked about sequences. 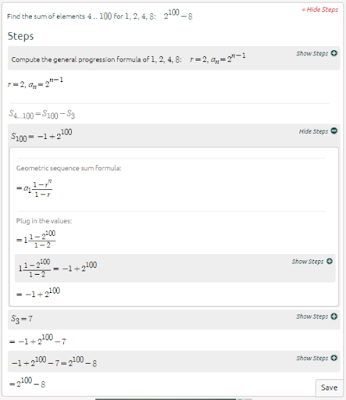 In this post, we will focus on examples of different sequence problems. We will not go through them step by step, but the examples will give you a better feel for how to solve these problems. 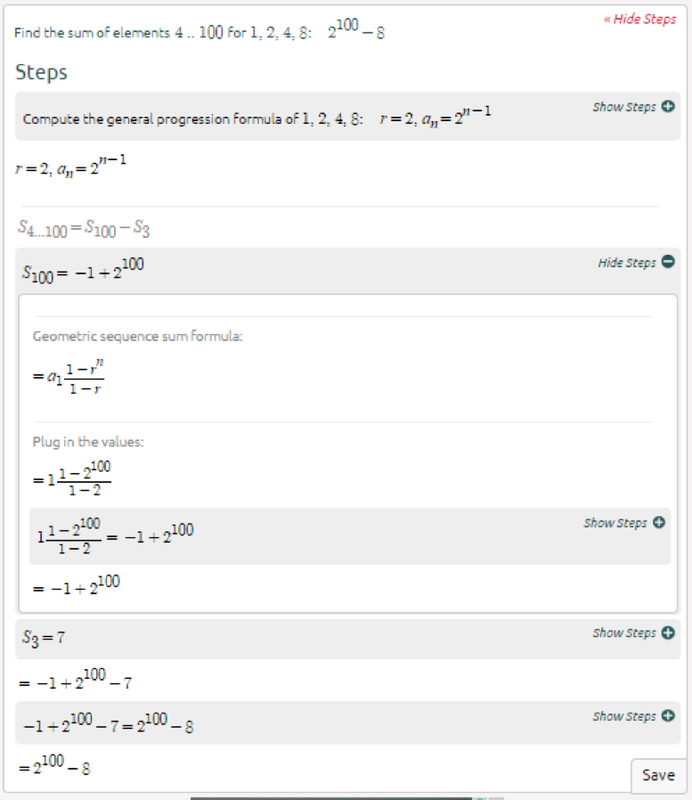 Try out some of the examples of sequences we have on our site. The more you practice the better you will get! 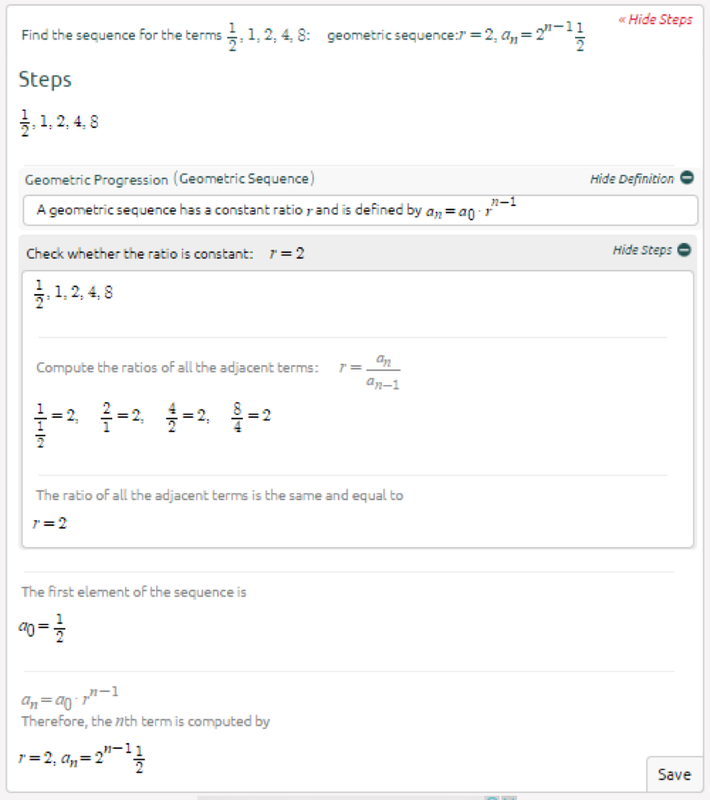 When dealing with simpler sequences, we can look at the sequence and get a feel for what the next term or the rule is. 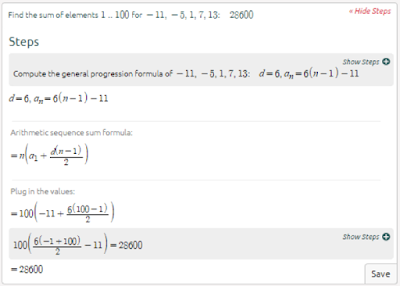 However, not all sequences are nice like those. 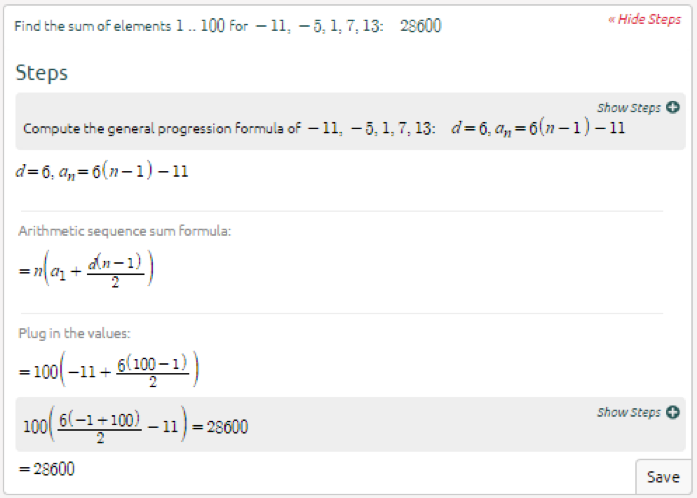 Finding the rule of a sequence can be difficult if you don’t know where to begin. 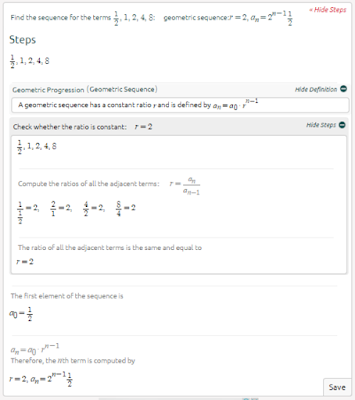 We will focus on arithmetic and geometric sequences, which will make finding the rule, term, and sum of terms very easy. We can see that difference in each term is 8. 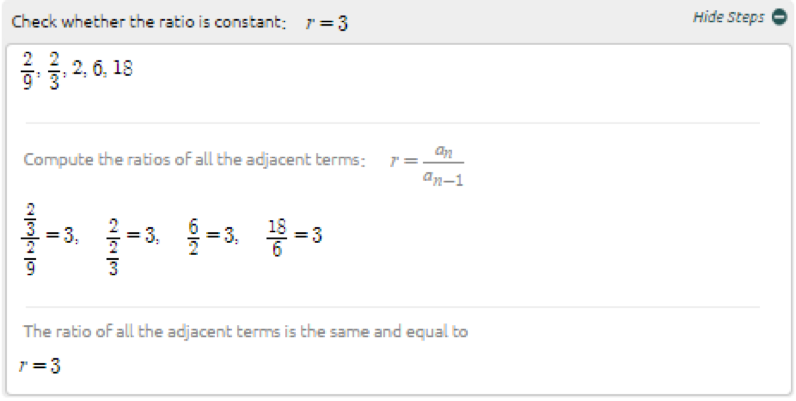 Arithmetic and geometric series aren’t very hard. 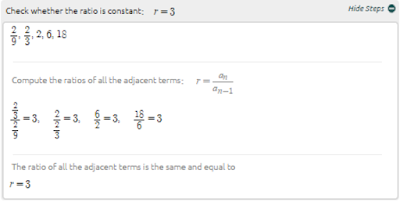 Just memorize the formulas and it should be pretty easy.